Our medals are perfect for recognizing children, teens and adults of all ages. Our medals are commonly designed for winners of sporting events, and to recognize those who took part, bringing a sense of team camaraderie. Whether you're celebrating Little League Baseball, football, basketball or track success, we have the medals you're looking for to give your team the recognition they deserve and encourage their commitment to sports. Unsure whether medals are right for your team? 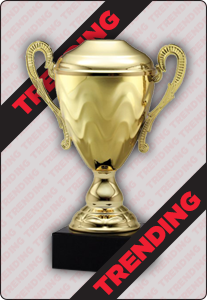 We can also create custom designed trophies, rings, pins and all kinds of awards to meet your unique needs. Not only can we help you create a custom design they will love, we can be sure to meet your quantity and budget guidelines as well. Ready to get started? Simply fill out one of our quick online forms to start the process of creating your own custom designed medal today.